Minimize clutter. Having clearer walkways, hallways, and less clutter can make trips and falls less likely. Wash those hands! Make sure that soap and antibacterial hand sanitzer are easily accessible in the kitchen and restrooms to prevent the spread of germs. Flu season is upon us, after all! Clean! It sounds pretty obvious, but cleaning is about more than appearance: it helps keep the home sanitized and disinfected. Dusting and vacuuming can also help get rid of dust mites, pollens, and other allergens, in addition to germs. Care for your pets. Practicing personal hygiene is crucial, but it’s also important that your pets and their areas are kept clean in order to prevent the spread of germs. Have emergency numbers on hand: 911, and any doctors or specialists that your family members may need to call. Organize! Organize your medicine cabinets and other areas where pharmaceutical or over-the-counter drugs are stored. Labels and pill containers can help to make it even easier. Be Prepared! It is important to have a First Aid kit on hand, and it is also wonderful if family members know the Heimlich Maneuver and/or CPR. If a person is ill in your household, it is also important to give them privacy and space. Make sure that they have comfortable blankets and pillows, as well as access to whatever it is that they need: food, water, and ways to entertain themselves while they are under the weather. Stocking your beautiful Paragon Homes kitchen with fresh, healthy, organic fruits and veggies is also important to managing your family’s health, as is remembering to incorporate physical fitness into your daily routine. Ashley Boynes-Shuck is a well-known blogger, author, and social media pro from Pittsburgh, PA. She was voted Best Blogger in Pittsburgh and Who to Follow on Twitter 2010, one of Pittsburgh’s Top 40 Under 40 for 2011, a 2012 Woman of the Year and Athena Young Professional awards candidate, one of Pittsburgh’s Most Influential Twitter Users by the Pittsburgh Business Times, and happily lives in a suburb of Pittsburgh with her husband, pugs, doberman, frogs, and cats! In her free time she focuses on advocacy and volunteer work, as well as rooting on the Pittsburgh sports teams! This Halloween, we at Paragon Homes want to wish all the little boos and ghouls a safe and happy Trick-or-Treating experience. No matter what your costume or favorite Halloween candy may be, this is one holiday that can be fun for all. Just like in our custom-built Paragon Homes, we value safety when it comes to our little Trick-or-Treaters, too. Paragon new home communities are very safe, and in general, Pittsburgh is a safe area, with a relatively low crime rate in comparison to its metropolitan counterparts. Nonetheless, ABC News cautions, “As kids prepare to put on their costumes and roam from house to house Thursday, parents and neighbors should keep in mind that their presence on the road and around homes requires additional caution.” According to the National Highway Traffic Safety Administration, over 2x as many children are killed in pedestrian-car accidents between the hours of 4 p.m. and 10 p.m on Halloween night, which falls on October 31. Be cautious and mindful of where you place your decorations, and be aware of the safety level of your Halloween décor. Make sure sidewalks and porch steps are free of potentially harmful debris, and that the area is well-lit, if possible. Be a safe driver and a safe pedestrian. 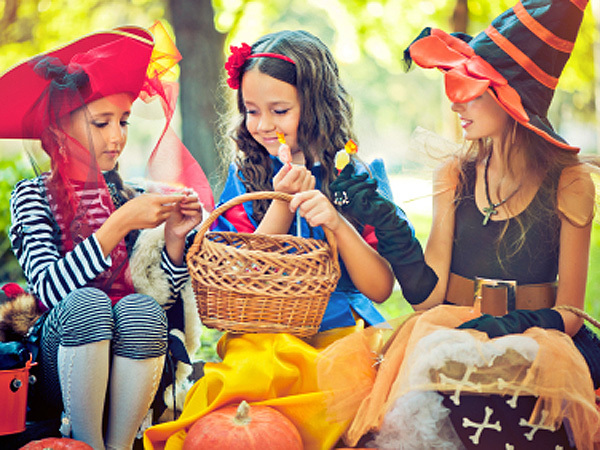 Choose costumes that allow kids to see, move, hear, and breathe easily. Be smart when picking the perfect Halloween costume for your child. Also consider safety when considering a pet costume. Do not collect candy from strangers. Inspect all candy before allowing your child to eat it, and have him or her alert you of any pieces they may find that are open or appear to have been tampered with. As a general rule of thumb, teaching your child neighborhood safety and the rules of “stranger danger” will come in handy not just at Halloween but as your kid continues to grow. Accidents can happen even in the most upscale of suburbs and we at Paragon would like to see that number decrease, especially on Halloweens in years to come. Do you have a devoted workout space in your house? If you have a new home, you probably do, but ultimately, you do not even need a lot of extra room in your home to exercise and stay in shape. Sure, a home gym is wonderful, but, there are plenty of creative options, too. Choose exercise equipment and accessories that are portable, versatile, and easy to store. For example: resistance bands, yoga mat and blocks, small weights, jump ropes, kettle bells, suspension training systems such as TRX, etc. If your item is harder to store, such as a large piece of equipment (think: treadmill, stair-climber, rowing machine, stationary bike, elliptical, or other total-body or weight machines) consider moving it to a space that isn’t frequented by guests, such as a spare bedroom, basement, or home office. Choose treadmills and other machinery that folds up for easier storage. Keep a balance ball in your garage or basement that is out-of-sight most of the time, but that can be easily pulled out for a quick workout. Try exercise DVDs and/or Exercise TV. Most cable providers have exercise, sport, and fitness channels that feature OnDemand workouts…and if not, you can find many exercise routines on YouTube to follow along with. Consider your kitchen to be part of your fitness regimen. Your Paragon home comes with the kitchen of your dreams, so why not put it to good use and make nutritious, wholesome, healthful meals for you and your family? Use fresh produce and organic foods when possible. 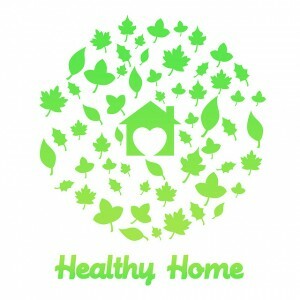 Keep houseplants in your home – they clean and purify the air! 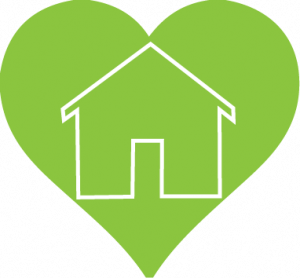 Use your home! Yes, that’s right – your house can be part of your physical activity for the day. Cooking, cleaning, and doing laundry all burn calories. Plus, who says you need a step-machine when you can walk or jog up and down your own stairs at home? Use your couch arm to do modified push-ups. Use a gallon of milk to do bicep curls. Try chair yoga. You can make everyday items extraordinary with a “fit” frame of mind! Don’t forget that many exercises don’t need any equipment at all: yoga, Pilates, stretching, jogging in place, crunches, sit-ups, push-ups, jumping jacks, squats, and planks are just some examples of things that can be done in any room of your house…or anywhere, really! Get outdoors! Take your dog for a walk. Play ball in your backyard. Have a pool? Take a swim. Go for a hike. Ride a bike. Whatever you can do to stay active, do it! 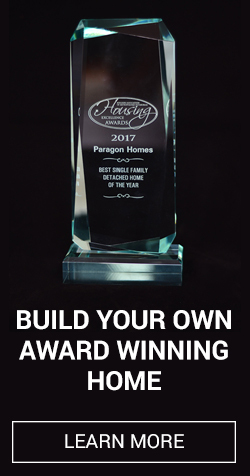 Whether you’re a body builder or a home builder, Paragon Homes has communities that are a great place to live, work, and play….and to stay healthy and fit! Ashley Boynes-Shuck is a well-known blogger, author, and social media pro from Pittsburgh, PA. She was voted Best Blogger in Pittsburgh and Who to Follow on Twitter 2010, one of Pittsburgh’s Top 40 Under 40 for 2011, a 2012 Woman of the Year and Athena Young Professional awards candidate, and happily lives in a suburb of Pittsburgh with her husband, pug, frogs, and kitten! In her free time she focuses on advocacy and volunteer work, as well as rooting on the Pittsburgh Steelers! Sometimes, it is hard to keep a clean, organized home in this busy and hectic day and age. But, we’re here to offer some housekeeping and organizational tips to minimize clutter and maximize space in your new custom built Paragon home. Footwear in the foyer can get messy. Shoes can be kept on a mat or better yet, on a movable rack, so that you can clean underneath on a regular basis. Shelving or a space inside the coat closet would be an even better option. With another Pittsburgh winter coming up getting the coats out of the way can be tricky. If your home doesn’t have a coat closet, have a standing wardrobe specifically for coats, or, a coat and hat rack. Keep your keys from getting lost by giving them a specific place where they go the minute you walk in the door. Create focal points to distract from clutter. For example, Good Housekeeping suggests using a flat surface as a showcase area, with one central display like a vase of flowers or a bowl of potpourri. Home office? Organize your desk space. You should have enough room to work comfortably without knocking things over or bumping into your computer monitor. There are so many office space storage options available to aid in your office organization. Bundle cords together or use a cord organizer. Have a special spot where mail goes immediately. Sort and open it daily instead of letting it pile up. If your builder included a mail shelf in your home design you are ahead of the game, but if not these recessed shelves can easily be added to existing homes. Just be sure to check for any plumbing or other systems behind the walls. Throw pillows are pretty, but keep them to a minimum to avoid your living space looking too cluttered. Ideally, the top of the nightstand should hold a book, a light, and an alarm clock, but it should not become another catchall space of clutter within your home. Store items under the bed in marked bins. Hang seasonal clothing in your closet, and store out-of-season items in bins that are put away elsewhere. All the clothes you keep in the dresser should be neatly grouped by type. Keep jewelry in a jewelry box, and makeup in a cosmetics case. Don’t just leave things laying around. Have a hat rack or a large pull-out drawer devoted to hats. If you have children, store toys in a toy box instead of having them laying all over the house. If you share your home with pets, keep their toys in a basket where they can access it, but where it is out of the way. Have distinctive areas for certain types of food in your refrigerator. Don’t clutter up the outside of your refrigerator too much, as tempting as it can be. Even if you have a “junk drawer,” try to keep it organized by cleaning it out frequently and/or using dividers. The garage is a space that many people may not see, but there are lots of options for keeping it tidy – consider building shelves or adding hooks, containers, tool boxes, and so forth. The laundry room also has lots of options for better organization. Southern Living suggests hiding infrequently-used supplies, and designating spaces for sorting, folding, ironing, etc. Keep your bathroom organized by utilizing the space to the maximum capacity without overcrowding. There are many options available for hanging and storing health and beauty items in the home. Your pantry items should be grouped by type, neatly, on shelves. Every so often, clear it out and get rid of expired goods, or de-clutter by finding items to donate to a local food back. So, do you have any other home organization tips to share? De-cluttering and organizing your home can actually minimize stress, so it’s worth a try, don’t you think? At Paragon Homes we want our home owner’s lives to be as stress free as possible whether it’s something we can to or something long after we build their new home!